The following article I read last week and thought it was an excellent read. 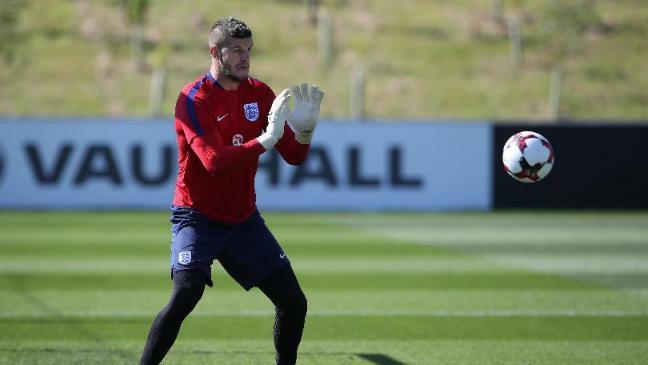 It’s been something of a tough time for England’s goalkeepers this season. 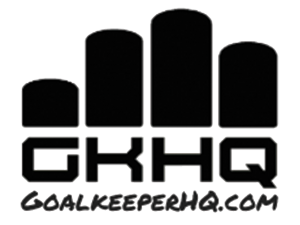 I’m not convinced any of the currently capped keepers can honestly claim to be heading into the World Cup having had a good season. Joe Hart, the most experienced of them all, has probably had the worst of the lot as he currently watches on from the bench at the London Stadium. Fraser Forster, Ben Foster, and Jack Butland have endured underwhelming seasons with Southampton, West Brom, and Stoke respectively with some notable individual errors. Jordan Pickford has had some fine performances, but is nonetheless part of an Everton team flailing in mid-table. Tom Heaton (a personal favorite of mine) is yet to properly return from a horrible shoulder injury which perhaps leaves Nick Pope – his young replacement – as the only English goalkeeper in the Premier League who’s playing in a side performing higher than expected. As international friendlies approach, it’s time for Mr Southgate to hone is choices for his first international tournament; one with the obvious weight of expectation that accompanies the Three Lions wherever they travel. But who makes the cut? I can’t help but feel sorry for Hart. After a troublesome season in Serie A, where some of his technical and psychological flaws were exposed, his decision to join West Ham on loan hasn’t seen him get back to the goalkeeper we saw before the Euros, or the one who put in perhaps the best performance from an English goalkeeper in Europe against Messi’s Barcelona. Some of Hart’s technical deficiencies have progressively been targeted by the opposition. Most notably, and as detailed by The Telegraph after the opening of the season, Hart struggles making low saves either side, specifically down to his left. His save percentages in these zones are remarkably poor, at just over 60%—compared to 85% in upper zones. Iceland, anyone? Now, I’ve got no inside track—no knowledge source that isn’t accessible to everyone. However, Hart has always seemed to be a player who thrives off getting “pumped up,” so tense and agitated that perhaps the balance between bravery/intention and cognition/technique becomes skewed under mental pressure. It’s an area he’s admitted to learning from in an interview before – but the source eludes my memory. The main worry is his lack of game time this year. There’s no doubt he’s experienced and a leader in the group – and for this reason I won’t be surprised to see him get a space on the flight out to Russia. I like Butland. As someone from a multi-sport background, watching the former county-standard rugby player gives me an insight into what life is like for me in a parallel universe. He holds his balance and shape well, is strong and decisive in shot stopping and more than capable with his feet. His explosivity is also superb. He had a bit of a mare last weekend against Leicester after pushing the ball into his own net, but a string of fabulous saves afterwards gave us a better account of how good Butland can be—all on his debut as captain. But, as anyone with an analytical mind will contend, these numbers lack the contextual application to make them worthy decision-making tools. Being the sad interested spectator I am, I took some of the stats and pulled out a save % statistic, comparing the same set of goalkeepers. Butland drops right down the table to 14th. The same impact is seen by Pickford, who claims a very strong 4th spot in quantity of saves, but drops to 18th place in save percentage. Nonetheless, I feel that the question for Butland isn’t whether he travels, but whether he starts. He has a huge potential both at club and international level, and has impressed when he’s appeared for England previously. Butland is every bit the modern shot-stopper, if lacking in the hollywood-sidewinder-assist department. I can’t quite put my finger on it, but something about Pickford is very unorthodox. Whether it’s his left foot, expressive hand movement during games or love of a parry, watching Pickford in action is an experience of its own. This is a young star certainly not lacking in the hollywood-sidewinder-assist department – arguably England’s only proponent of the ‘modern day’ ability to distribute accurately across various distances at the highest level. He also hasn’t missed a single minute of Premier League football this season. Against Germany, Pickford was superb, denying Werner twice from 1v1 situations to keep England in the game early on. His performances for Sunderland last year rightly brought him acclaim and whilst his Everton side this year has struggled, he doesn’t look out of place at a club where expectations are higher. What strikes me about Pickford is his communication – a lot of Premier League goalkeepers – De Gea in particular – seem quite ‘passive’ and quiet in comparison but he’s not been shy to make sure his teammates can hear him. It’s a good lesson for younger players that regardless of your age relative to your team mates, you can help them and yourself by talking. In my mind, the decision over the starting spot is between Pickford and Butland. My personal preference would be Pickford, purely for his ability to turn defence to attack in seconds – something that might prove vital in tight, nervous group games. My one question mark over them both is that they haven’t had a mentality of keeping clean sheets and winning tight games all season – can they switch in the summer when required? The wildcard. Here’s where it gets [hopefully more] interesting. Pope, originally brought in to cover for the wonderful Tom Heaton, has been outstanding for Burnley. In fact, according to Sky Sports, Pope is behind only De Gea in making unexpected saves, keeping out around 8 attempts on target that were expected to result in a goal. That’s a huge deal for someone no one would’ve expected to be playing, let alone thriving. Charlton Athletic fans will be aware of his talent, but I daresay no one would’ve predicted this level of impact. For context, Pickford has made 0 – he’s kept out exactly how many he’s been expected to. Pope has a fantastic ability to spread and make himself big, using his massive frame to smother attempts. At 25 years old he isn’t the newbie many expect – and this experience at different levels has no doubt attributed to his assured and consistent performances for a Burnley side doing very well for themselves. Gareth Southgate, attending Burnley vs Everton this weekend, has certainly got food for thought – I feel as though Pope will get a call up for the upcoming friendlies at least where he’ll be given a chance to prove himself. I feel as though the third spot for the World Cup is up for grabs between Pope and Hart, which admittedly, becomes an easy decision if considering form alone. Taking into account tournament experience however, given one of Butland and Pickford are likely to start, the decision is a bit more complex. There’s a few players who deserve a mention in this section. In reality, barring a freak set of injuries it’s hard to see any having a realistic chance but it’s four months until the World Cup – plenty of times for circumstance to chance. As I mentioned before, I love Tom Heaton. He’s been underrated for several years but last season he was superb – a string of brilliant saves come to mind (The starfish to keep out Ibra?). His injury this year was a huge blow – under different circumstances, Heaton in my mind could have a strong claim to going into the World Cup as the number 1. If you’re as used to tuning in to FATV as I am, you’ll be familiar with the brilliance of Tom Heaton – his balance and agility is superb, making the most difficult footwork and recovery look easy, with neutral, tidy hands. He’s a great example to show kids growing up and looking for someone to emulate. He’s a leader, brilliant communicator and someone I think, personally, could do just as well at a higher stage. What he lacks in modern distribution he makes up for in a wealth of experience and leadership qualities. The difficulty for Heaton will be getting his spot back in the Burnley side. Pope’s form makes it very difficult to drop him, but a run of games is essential after such a big injury. A lot comes down to what Dyche decides in this fairly unusual circumstance. McCarthy has done well this year to work his way back into first team football. Fraser Forster, who has subsequently lost his place, has struggled since Pellegrino took over at Southampton. I initially held high hopes for Forster – he’s a huge, imposing force and impressed when he first came to the Premier League. But over the past two years, i’ve questioned his decision making – his method of recovering, decisions to parry and the areas he pushes the ball into. He’s never stood out for me as a distributor either. I think McCarthy becomes the next in line should anyone else’s form drop considerably or injury strikes, but I don’t think he’ll be expecting to make the trip. In his favour however is that Southgate has called him up before – although he’s yet to get his first cap. As a Chelsea fan, I was able to watch Gunn for Norwich across the two mightily boring cup games over the winter. I was impressed – both games were low scoring, but Gunn was assured, authoritative and made some good stops. His hands were tidy and distribution consistent. Gunn has consistently shown to be very effective claiming high balls – a remarkable 99% success rate. The main argument is that Gunn has been a constant through the English youth systems. Southgate has shown a willingness to use the relationships developed at younger age groups, but perhaps bringing Gunn is more a gamble on what he may become in the future rather than his current experience. Maybe one tournament too soon for the on-loan City keeper, but one to watch for sure. By no means is it a foregone conclusion, and upcoming friendlies certainly give Southgate a chance to see what these different players offer. For me, the decision is quite clear. The starting spot comes down to Butland and Pickford. Pickford edges it for me because of his superior distribution and my personal view of how he has performed for Everton this year – although statistics would support this over Butland. I’m aware that Pickford doesn’t have a lot of International experience. But he hasn’t struggled to make steps up the footballing ladder before; I don’t expect the World Cup to be any different. The third spot is the difficult one – do you go with Pope’s form or Hart’s experience? If Southgate values the nous and wisdom of the struggling Hart, especially as neither are likely to feature, it would make sense to take the former no.1. If the decision is made on meritocracy alone – Pope gets the shout. Perhaps the youthfulness of the rest of the squad will make an impact. What do you reckon? Who gets on your plane to Russia this summer? Let me know in the comments or on twitter!